THE B-MOVIE NEWS VAULT: STOCK YOUR VAULT: New DVDs & Blu-rays for 02/20/2018! STOCK YOUR VAULT: New DVDs & Blu-rays for 02/20/2018! Hey Vault Dwellers! We've finally hit one of those "take a breather, save your money" weeks, because there is not much out today. But as always, there are still a few titles that may interest you, my fellow collectors of physical media! Scream Factory gave William Castle's THE NIGHT WALKER its Blu-ray debut, and Kino Classics brings Lee Van Cleef's THE MASTER TV series to DVD & Blu-ray! Severin Films released the Italian cannibal classic EATEN ALIVE on DVD, Blu-ray, and Limited Edition Blu-ray (with soundtrack CD), Bayview Entertainment got the drop on us with their MAKO: THE JAWS OF DEATH DVD (in Widescreen with extras! ), and the new Horror flick MOM AND DAD featuring Nicholas Cage and Selma Blair is now available as well! 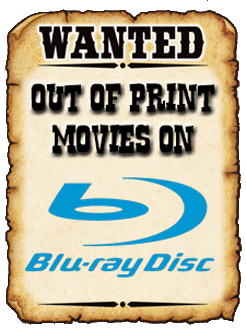 There isn't too much more to get excited about, so scroll on down to see this week's meager DVD & Blu-ray offerings.